The Historic Glensheen Estate, operated by UMD. Photo courtesy of Duluth Winter Village. Glensheen will be hosting Duluth Winter Village for a second year on Saturday, Dec. 2 and Sunday, Dec. 3 from 10 a.m. to 5 p.m. both days. 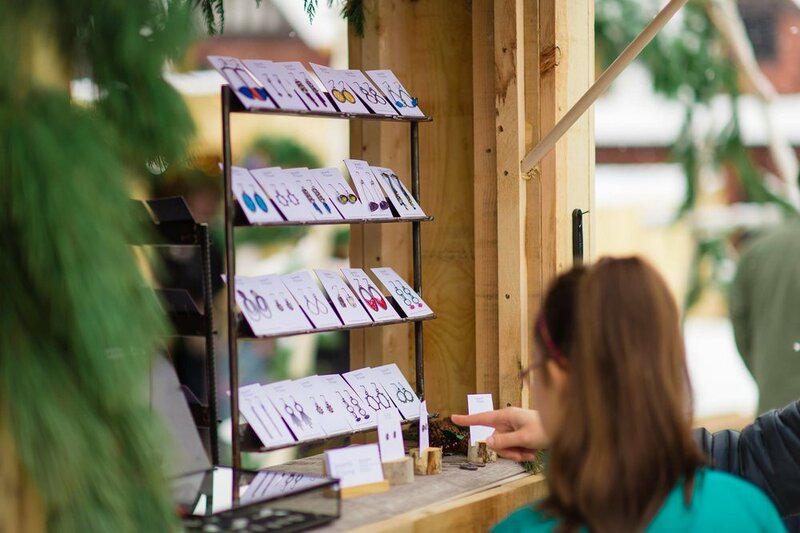 The event features an outdoor market, composed of local businesses nestled in their own Winter Village cabins. Local businesses operate out of the Winter Village cabins. Photo courtesy of Duluth Winter Village. The event is organized by Duluth Loves Local, a volunteer group that promotes shopping locally and is sponsored by local businesses. It is meant to bring awareness and support to local businesses, according to Duluth Loves Local member Mallory Moore. Photo courtesy of Duluth Winter Village. Moore says that shopping local helps maintain community components, such as the maintaining of the many Duluth trails and outdoor or water-related activities. Carys Jeffrey, a senior studying history at UMD, is an employee at Glensheen. She says that she will be attending the Winter Village again this year. Jeffrey says that shopping local “is super important”, and many of the local businesses feature limited-edition items just for the event. The event is free to enter, and features bonfires, a beer tent and activities for children and families. There will be free shuttles to and from the event, with pickup and drop-off spots at UMD’s B Lot and Congdon Elementary School. Tours are available every hour until 5 p.m. with the purchase of tickets, sold on-site. There will not be parking available at Glensheen.